United Housing is a not-for-profit organisation where members, as the key stakeholders have ultimate control over the governance of the Co-operative. Under the rules of the UHC’s Constitution and the Department of Health and Human Services’ (DHHS)Regulatory Framework, members entrust responsibility for the governance of the co-operative to the Board of Directors. The Board of Directors consists of six Member Directors and two Independent Directors. Member Directors are elected from, and by, the members at the Annual General Meeting, and the two Independent Directors are appointed by the Member Directors. Committees are formed for the purpose of undertaking various specific organisational functions and are accountable to the Board. The rules of the Constitution describe the process for members to nominate to become Board Members and process for conducting the election of a Board of Directors at the Annual General Meeting. The Board of Directors have responsibility for governance matters and to govern responsibly in accordance with Co-operative’s policies and principles. The Board must represent the interest of members and consult with members on policy changes and significant governance matters. The Board must also ensure regular reporting to the members through various communication channels. The Board of Directors delegate responsibility for the management of operational matters to the General Manager who is accountable to the Board. The staff team, currently consists of the PropertyManager, Tenancy & Property Management Co-ordinator, Finance Co-ordinator and Member Services & Administration Officer, accountable to the General Manager. UHC’s staff team, currently consists of the Property Manager, Tenancy & Property Management Co-ordinator, Finance & Administration Co-ordinator and Tenancy and Member Services Officer, and are accountable to the General Manager. Embrace the benefits that being part of a co-operative brings. Achieve empowerment within a mutually supportive group. Explore the option of becoming a Director, to enable a greater involvement in the Governance of UHC. Be open, honest and supportive of each other and our wonderful Co-op. Review and develop appropriate policies. My Motto: passionate, fair and honest. I am a founding member of the Co-operative in 1982, and have been housed since 1984. I became a Director of UHC in June, 2010 and was elected Chairperson in November of that year. I was Chairperson for three years, then Director – Property Management and Maintenance for a time, and am now Deputy Director – Finance. I have been involved in housing issues and community-based groups since the late 1970s, having been involved in tenants groups, the Western Region Housing Council and a local housing advisory committee, amongst others. In addition, I have been involved in other voluntary roles in my community. My hopes for UHC are to be a part of good governance of the organization and to provide some oversight of the financial systems of the Co-operative. Chris Chetcuti joined the United Housing Co-operative Ltd as the ‘Independent Director – Legal’ in September 2010. Chris is currently the Board Secretary at the Transport Accident Commission and has experience as a commercial lawyer at Australian Unity Ltd, Blake Dawson and Middletons. Chris was admitted to legal practice in April 2007. Chris also has six years of experience as an asset consultant, having worked for Towers Perrin and Atchison Consultants. Chris commenced his career as the 1996 graduate intern at the Australian Accounting Research Foundation. Chris holds a Bachelor of Commerce (Honours) and a Bachelor of Laws (Honours). Chris is a Fellow of the Financial Services Institute of Australasia and is a graduate of the Australian Institute of Company Directors. United Housing Co-operative Board member since 2014. Building a strong team, working collaboratively and delivering results. To ensure high level of financial management and transparency. To work with the Board and management to grow the number of properties owned and managed by UHC. To ensure efficient, effective use of UHC financial resources. My Motto: Working together to maximise outcomes. Upskill – to create better opportunities for self-improvement through a range of activities. Socialise – to nurture or create new relationships and connect with our community. Communicate – help members achieve their goals in regards to the direction of the co-op and facilitate avenues for innovative ideas to be bought to the membership for everyone to enjoy. 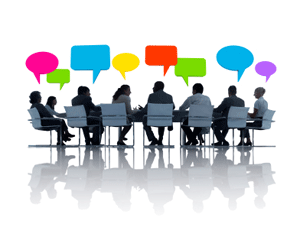 Advocate – help to effectively communicate member issues and ideas to the board and/or staff. My Motto: Kind, generous and thoughtful. My Motto: Outgoing, social and friendly. To ensure a high standard of governance and legislative compliance. Have workable and fair policies in place. To contribute to equal opportunity all governance and operations. Copyright © 2019 United Housing Co-Operative Ltd.